WB283 has - starting with the SP6 revision (rev: 1645) - an improved outputfilter. The outputfilter is an important part of the WB framework that allows the CMS to manipulate the output of modules with some powerfull functions. Some of the important functions are to replace internal links that are stored like # to a link that browsers understand and execute Droplets on your website. For one it will include jQuery by default in your template. If your template already has jQuery enabled this will cause conflicts. Also a new method to include the frontend.css and frontend.js is introduced. If your template uses the original register_frontend_modules functions (and it should) scripts and css are included more than once. 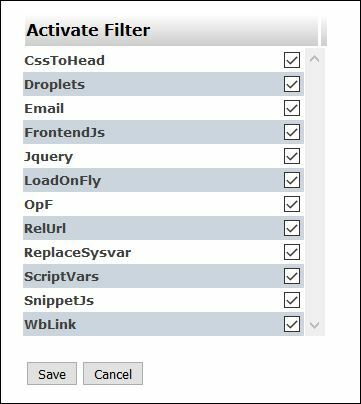 You can disable theses settings manually by using the outputfilter admintool, but you could also use the small script in the bottom of this post. 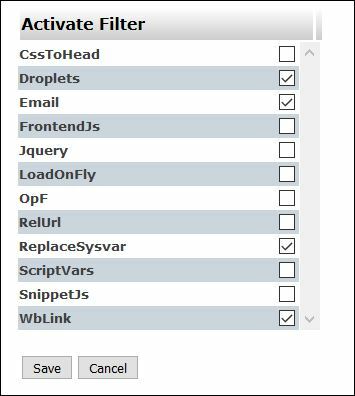 You can always manually enable the outputfilters you want to use in your project, but by running this script your old website might have less trouble after upgrading. WB283 SP7 has one more default setting that might break your website. Since this version the CMS will wrap the output of every section (part of a page) in an extra <div> container. This gives some nice extra's. You could use it to create a menu for a one_pager website, you could use it for giving all sections in a page diferent backgrounds, I am sure there are many more good reasons to do this. Unfortunatly it could also break the output of your template because CSS selectors are changed without knowing. There is an (undocumented) setting to disable this behavour. To disable go to the advanced settings of your website and change the defauilt setting for "Section-Anchor text" tot "none". The script in the bottom of this post will disable this behavour for you if the version of your WebsiteBaker is SP7. When it is ready you are redirected to the admin of your website. This site is VERY helpful. There appears to be so much fragmentation of WB resources, having developed over many years, it can be quite difficult sometimes to know what is current and what is out of date. This site is a "breath of fresh air!" Thanks again! !